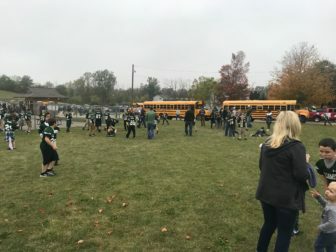 WILLIAMSTON- From student groups and athletes, to community members and ministries, this year’s Williamston Homecoming parade had something for everyone.The parade took place Oct. 6 before Williamston High School competed against the Fowlerville Gladiators at their home field. The parade route began at St. Mary’s Church on North Cedar Street at 6 p.m. and finished at the gates of the Larkin-Nortman Memorial Field right before the game began. The parade featured many important teams and organizations within the community. One group involved in Homecoming was the Harvest House Ministries. The Homecoming event brought in revenue to the community through event parking that was donated to the Harvest House Ministries. Ministry member Tim Baise said that the venue previously belonged to the old Williamston High School, and now the parade and football games allow them to use the parking lot to make money for charity. The money raised by Harvest House Ministries is used for food, clothing and medical supply donations to those in need. Williamston High School and Lansing Christian are a cooperative swim team. The team rode the float up to the gates of the Larkin-Nortman Memorial Field. 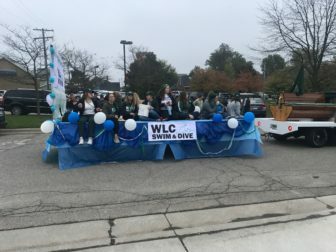 In addition to the charitable participants within the community, the Homecoming event also featured many groups within Williamston High School. Homecoming parade participants were chosen through an online application. The form included the type of transportation involved, whether or not the group would supply a banner and the contact information for the leader involved with organizing. The featured sports teams at the parade included the volleyball team, swim team and cheer squad. Sophomore Chloe Smith, a member of the cheer team performing during the parade as well as the halftime show, said that the squad has been practicing for months in preparation for Homecoming. Junior football team athletes wait in the field outside the Larkin-Nortman Memorial Field as the parade concludes at its gates. Another group in the parade that worked diligently towards their performance was the Williamston High School Band. Sophomore snare player Jenna Ellis said that the group had been working towards the big day. Sophomore base player Maya Malerman reiterates the importance of the team practicing. 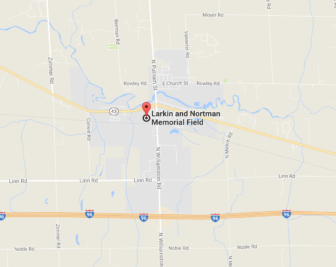 The parade route began at St. Mary’s Church on North Cedar Street at 6 p.m. and finished at the gates of the Larkin-Nortman Memorial Field. Malerman and Ellis both belong to the drum line within the Williamston Band, and plan to continue with drumming throughout the duration of their high school careers. In addition to the teams and clubs involved in the parade, Williamston High School Student Government announced that the Grand Marshals for the 2017 Homecoming Parade are Marilyn Thompson and Deb Lynch, who both retired from the district last year. The football game followed the parade with a 7 p.m. kick off. Williamston beat Fowlerville, 44-7. The Hornets play their next game at home against the Haslett Vikings on Oct. 13. From the Williamston Hornet décor, to the prime location right in downtown Williamston, the Williamston Pub & Grill continues to be a popular restaurant to Williamston residents and beyond. Through continuous community involvement, new promotions and a unique menu, the Williamston Pub & Grill has found new ways to attract customers and strengthen its relationships with pre-existing consumers.